This post is part of the Basic Guide to Suturing series. It provides an overview of the steps you need to take when assessing and then preparing for closure of a wound. Steps 3, 4 and 5 can be rearranged, depending on your operating environment, equipment, wound and personnel. In the Emergency Department in particular, the order is flexible, and steps may have to be repeated. 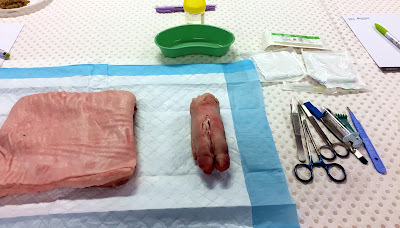 For example, you might clean the wound first to remove of the majority of the debris so that you can use your local anaesthesia in a semi-sterile environment. Once the local is working, you could give the wound a more thorough clean again. ◘ How old is the injury? 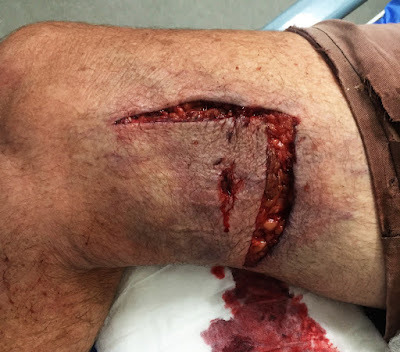 ◘ Where is the injury, how big and how deep? Based off history and examination consider requirement for any imaging. Tip: Achieving some degree of haemostasis is an important step in adequately assessing the wound. In emergency departments this can often be achieved by; applying direct pressure with a gauze pad for 10-15 minutes, or 1% lignocaine with adrenaline (other methods exist). Concern about wound infection is the primary reason not to close a wound primarily. 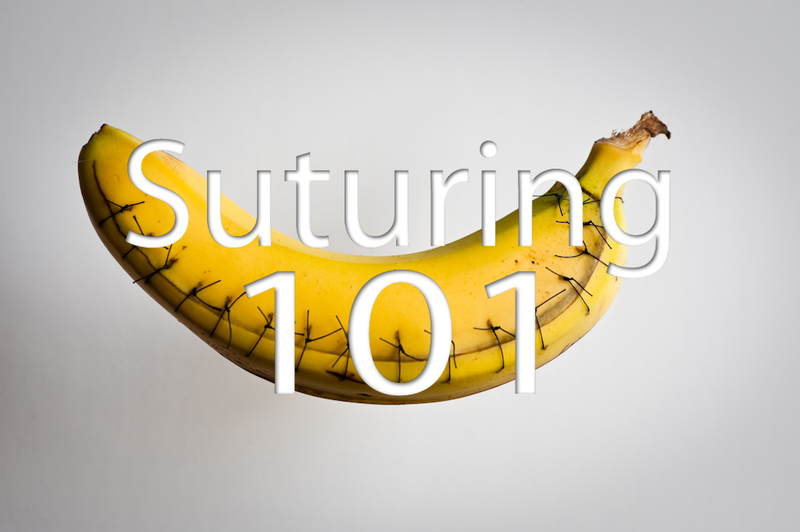 Several relative contraindications exist for suturing and other methods of wound closure should be considered. Once you have decided to close the wound you need to get the appropriate equipment. If you have not done so already inform the patient about what you are about to do, and make sure they are happy to proceed. Written consent is often not required when repairing simple lacerations and verbal consent will often suffice. If unsure, talk to your senior clinician. 2. 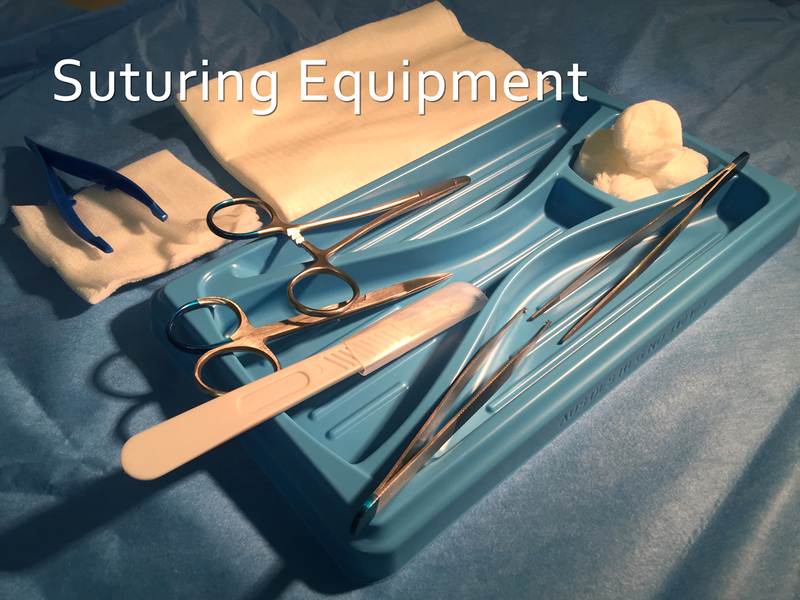 Open your equipment using sterile technique and create a sterile field. 3. Ensure that both you and the patient are positioned in a comfortable manner. 6. Place on a pair of a sterile gloves (regular gloves may also be appropriate). 8. If painful consider anaesthetising at this point before any further cleaning. 12. If you have not done so already, Get ready to anaesthetise! Tip: It is may seem obvious, but it is less painful to anaesthetise through the wound, rather than break through fresh skin with a needle to achieve numbness.